Downwards offer a new EP from Karl O'Connor, aka Regis, reviving his cult CUB project with Simon Shreeve, aka Mnic now in tow for Seeing From Above, three stripes of dark ambient techno. 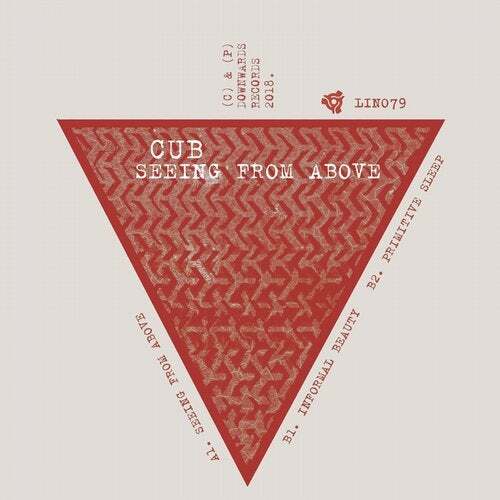 The original pair of CUB 12"s worked at an unusual 113 BPM flow and included remixes from Ancient Methods, whereas this release features reshuffled personnel and a broader range of tempos while remaining true to the original, grungy CUB aesthetic. With Shreeve on board, the pair initially push the tempo for a roguish shoulder-barger before returning to the project's slower tempos on the second side.